Falls from a height rank number one among the Occupational Safety and Health Administration’s “Fatal Four” causes of deadly construction accidents. A significant number of those are falls from scaffolding. Scaffolding accidents can also occur in a few other ways, but all these incidents have one thing in common: the risk of serious injury or death. If you or someone you love has been injured in a scaffolding accident, you may be facing a complex mix of emotions. You may be relieved that you survived – or grieving that a loved one did not. You may be worried about the bills that are piling up and how your family will pay them without the income from construction work. You may be angry at the person or company you believe caused the accident, or desperate to find out what happened so that no one else’s family must suffer the same way as yours. If these feelings sound familiar to you, Warren & Kallianos can help. Our Charlotte construction accident lawyers have devoted more than a half century of their combined legal practice to personal injury law. We know what steps are required to pursue a scaffolding accident claim and to secure maximum compensation for victims. The Occupational Safety Health Administration (OSHA) reports that two construction workers die every day on average in the United Stated and thousands suffer serious workplace injuries. Construction worker fatalities account for one in five overall workplace fatalities in this country and falls account for about 36.9% of those deaths from scaffolding, ladders, holes in floors, and from lack of fall protection. According to the Department of Labor (DOL), about 2.3 million construction workers work on scaffolds each year. The U.S. Bureau of Labor Statistics’ Census of Fatal Occupational Injuries (CFOI) reports that 54 construction workers suffered fatal injuries in falls from scaffolding and staging in a single year. The Bureau of Labor Statistics (BLS) found that 72% of workers injured in a scaffolding accident reported that either the planking gave way, the employee slipped, or was struck by a falling object. Each of these occurrences could have been controlled and prevented by following OSHA standards. Slip and Fall. Slipping or tripping and falling from the scaffolding are among the most common causes of scaffold accidents, according to the BLS. Workers may slip on a slick substance like water or oil that has spilled on the scaffold, or they may slip on the scaffolding itself if it has become worn and does not provide enough traction to keep workers safe. Tools or debris that are placed on the scaffold can also trigger a trip and a fall. Stand on Planks or Supports That Give Way. When scaffolding is not erected properly, or it contains a hidden defect, either the planks used to support the workers’ weight, or the supports used to maintain the planks’ position may give way. When this happens, the worker may fall – often without any warning or any way to prevent the accident. A scaffolding collapse can easily endanger anyone who is standing on lower levels, on the ground beneath the scaffold, or in the area near the scaffold when it collapses. Are Struck by a Falling Object. Tools, debris, equipment, or other items falling from a higher level can strike a worker on scaffolding, causing serious harm. Often, this type of accident occurs when workers on higher levels are not taking care to secure objects away from the edges of their own workspace, or when workers or pedestrians can pass through the area beneath the scaffold without canopies, nets, or other safety coverings used to catch anything that might accidentally fall from higher levels. Are Electrocuted. Scaffolding that is raised near power lines increases the risk that workers will be electrocuted as they work on the scaffold. Electrocution can cause serious damage to the brain, nervous system, heart, and other organs. It can also result in electrical burns, which are among the most expensive types of severe burn injuries to treat, and frequently result in ongoing medical care, scarring, and other permanent injuries. Brain and Spinal Cord Injuries. Damage to the brain and spinal cord can result when the head or back strike, or are struck by, another object. For instance, a worker may be hit by a tool falling from a higher level or may land on his or her back after a fall. These injuries can cause permanent problems with movement, including paralysis, as well as severe pain and difficulties with memory and concentration. Broken Bones, Amputations, and Crush Injuries. Broken bones are a common injury for those who fall from a height or who are struck by a heavy object. Fractures may require surgery to ensure that they are set properly in order to heal. Weeks or months in a cast, on crutches, or in a wheelchair may be required, followed by extensive rehabilitation to strengthen the muscles and restore as much mobility as possible. When a worker is trapped under collapsed scaffolding, he or she faces a high risk for crush injuries or amputations. Crush injuries may damage not only the bones, but also the muscles, nerves, and soft tissue in the affected area. Crush injury patients face a higher risk of serious infection and the risk of a condition called “crush injury syndrome,” in which the body cannot maintain a high enough volume of fluids to protect the functioning of the vital organs. In some cases, a crush injury is so severe that amputation may be required to save the person’s life. Electrocution. Electrocution and electrical burns are also included in OSHA’s “Fatal Four” construction site injuries. Unlike a simple electric shock, as you might get from a malfunctioning kitchen appliance, electrocution is deadly. Attorneys Jeff Warren and Chris Kallianos bring 58 years of experience to their personal injury law practice. We begin every case we handle by listening to your side of the story, your concerns, and your hopes for the future. Then, we investigate: gathering documents, talking to witnesses, and building the strongest possible case for the compensation you need both today and in the future. 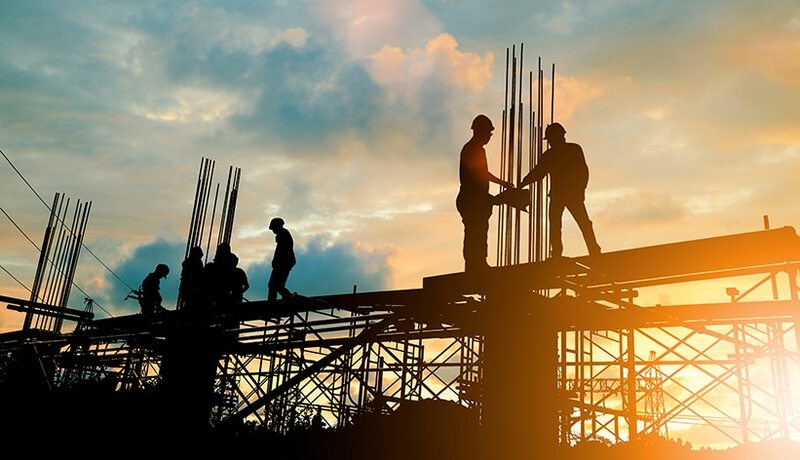 Attorneys Jeff Warren and Chris Kallianos are dedicated to helping all of our construction accident clients obtain the full compensation they are entitled to under the law from every available source, whether that means challenging the insurance company or taking the case to court. To learn more, you may call 704-275-5593 or contact our North Carolina office today by phone or online. Your initial consultation with our office is free and confidential.